i'm happy to announce the launch of our new hand cream! our lovely following has been asking for this for longer than i care to admit but, being a perfectionist, it took some time to get the formula that i'd been seeking. once i was completely satisfied i called my team in for a blind test against some of the better known and more expensive brands. 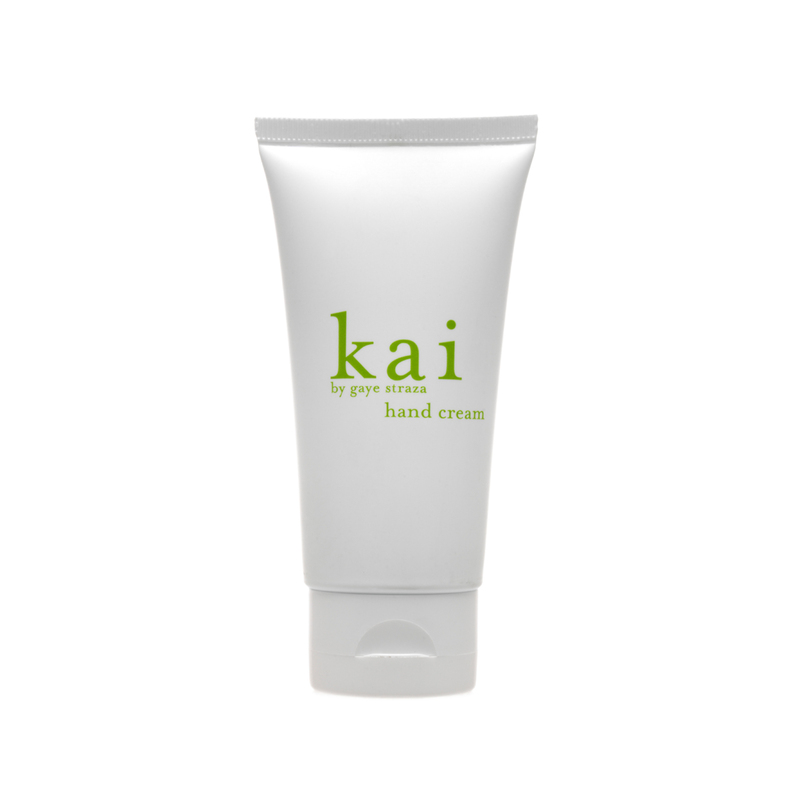 kai hand cream came in first each and every time. as well, those who have gotten a sneak peek have given rave reviews all the way around. once i got that feedback all i could say was "whew"! our delicious formula includes an indulgent blend of rich shea butter, conditioning sunflower and safflower oil along with refreshing aloe vera and dewy apple extract, fragranced with our signature kai scent. our uniquely light and invigorating cream soothes and repairs dry skin leaving it soft and hydrated. look for it in stores end of october.